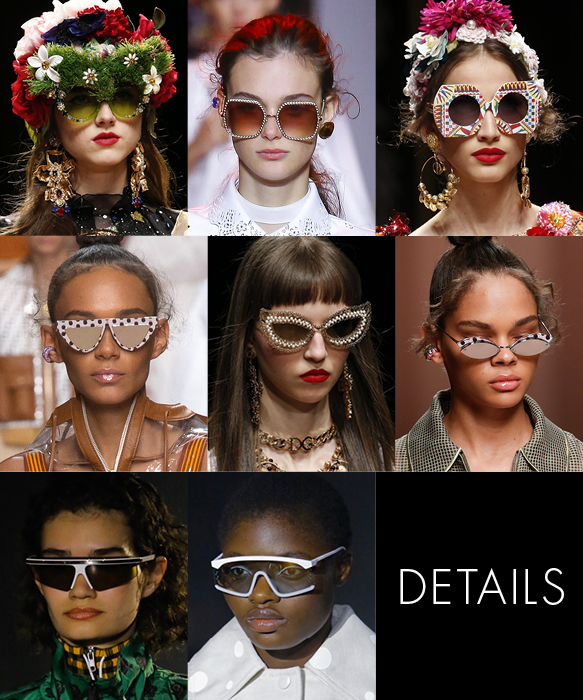 Now that the spring/summer 2019 fashion weeks have come to end, it’s time for our specs and sunnies trends recap! 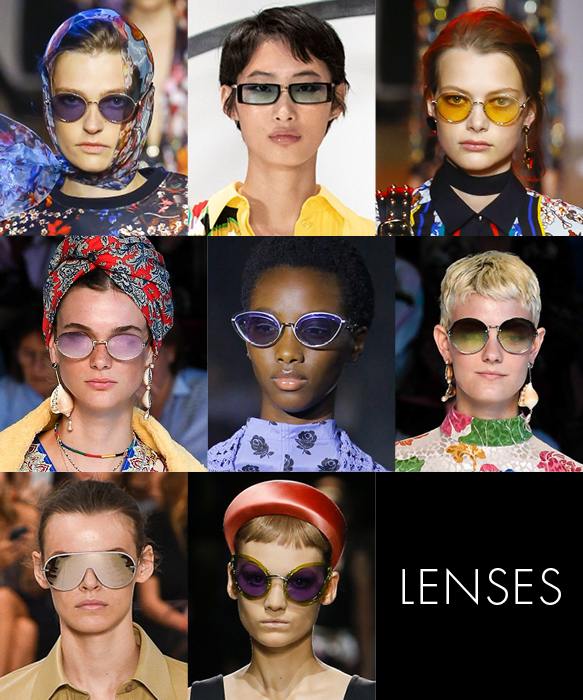 This season’s upcoming styles feature unmistakable detailing with vibrant colors, breathtaking silhouettes and lenses doused in distinction that will have you dying for more. We’ve gathered a few of our favorite looks from New York, London, Milan and Paris, below. Colors: Fiery and exotic reds, electric blues, subtle yet distinct pinks, frosty whites, deep and mystifying purples, vivacious yellows, and other sensational colorations. Details: Lush and oversized flowers, delicate jewels, decorative and eye-catching patterns, metallic two-toned effects, chic layered looks and futuristic browlines. Lenses: Captivating mirrored and tinted lenses in faint greens, icy silvers, creamy lilacs, and jaw-dropping ambers, plus enchanting gradient effects. 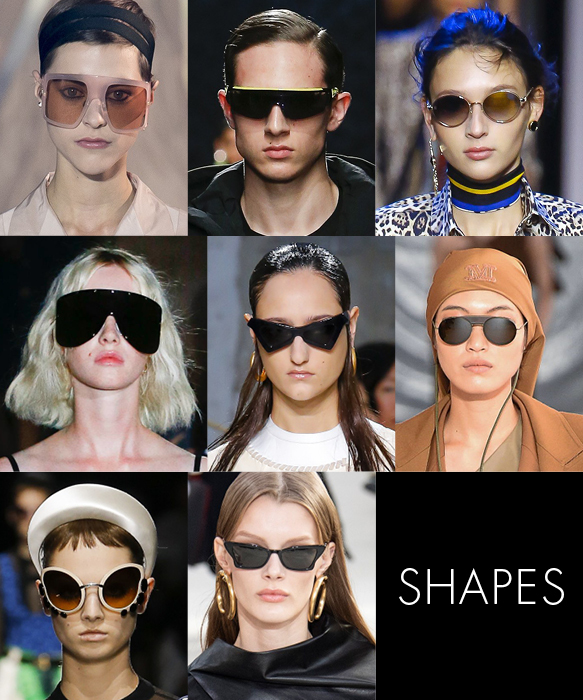 Shapes: Dramatic square silhouettes, minimalist rounds and ovals, ultramodern shield-inspired shapes, and whimsical butterfly profiles. 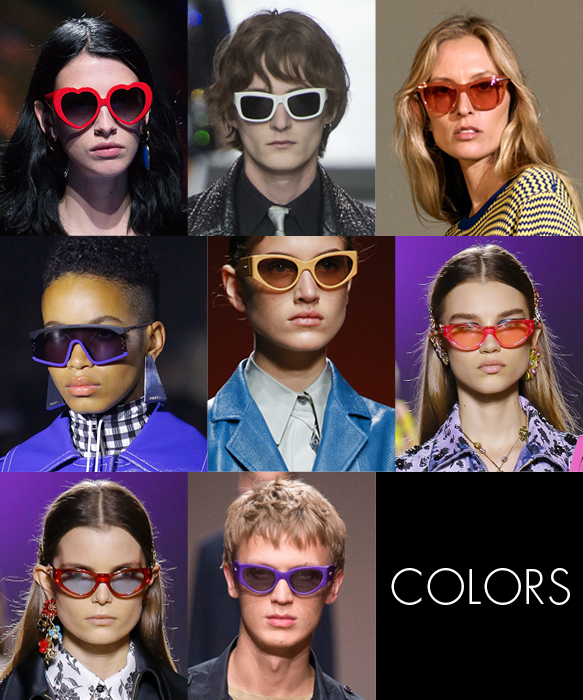 This entry was posted in Blog and tagged accessory trends, designer frames, eye glasses, Eye Openers, Eye Openers Optical Fashions, eyeglasses, eyewear, eyewear fashion trends, men's glasses, mens designer frames, New York, optician, Rochester NY, women's fashion, women's glasses on January 22, 2019 by eyeopenadmin.